National Geographic's Trails Illustrated group has been mapping national parks for more than 20 years. 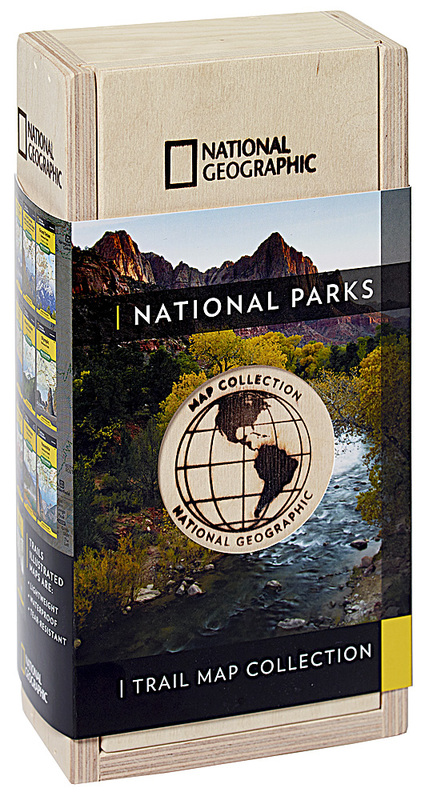 Now they have released the definitive Map Collection of national parks. The Map Collection is the perfect companion for the roadtrip of a lifetime or as a reference for armchair travelers who want to dream of their next national park trip. The diversity of America's national park system is clearly mapped on these ten titles, from the wooded mountains of the Great Smoky Mountains, to the granite cliffs of Yosemite and the gysers of America's oldest national park, Yellowstone and beyond.